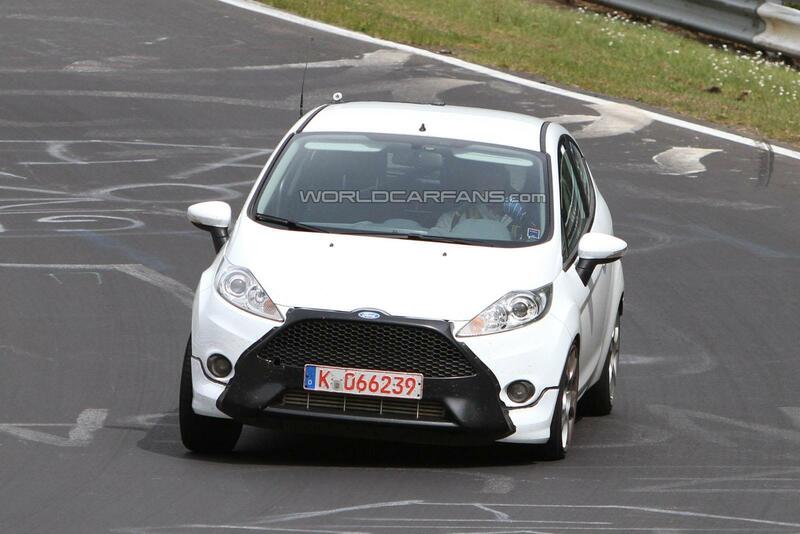 Spy photographers have caught the Fiesta ST again, this time undergoing engine testing at the Nürburgring racetrack. Previous mules were very inconspicuous, sporting slightly altered fascias and large exhaust tips. This test mule is on the other end of the scale with its Focus ST-esque dominant radiator grille and smaller aggressive air intakes. 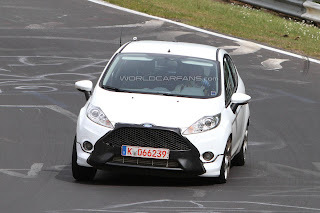 Visible underneath the license plate and black bumper insert is the intercooler, that strongly indicates a turbocharged petrol engine. 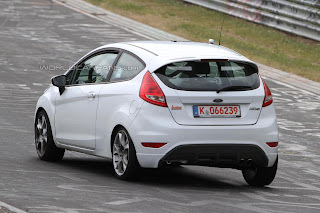 Although official details regarding the engine have been announced, it is believed a 1.6 litre direct-injection EcoBoost four-cylinder petrol unit that develops around 200bhp (197PS/149kW) will be used. The finished product will obtain a bodykit, lowered and stiffened suspension with large alloy wheels, wider front and rear tracks, large rear roof spoiler, bulging wheelarches, advanced brakes and sports seats, when it goes on sale in Winter 2012. The launch of the Fiesta ST will coincide with the release of the regular facelifted Fiesta.